The ability of ICTs and the internet to give people access to knowledge and ideas from all over the world continues to hold great promise in the development context. Gamos has contributed to this IICD report which examines how local content in developing countries is created, adapted, and exchanged, and how it can be enhanced. However, in the absence of local content developing countries can easily become flooded with foreign materials and ideas, to the detriment of local culture. 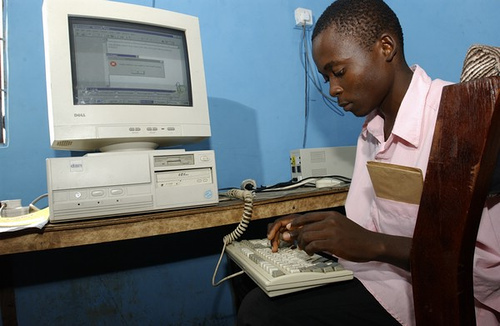 If ICTs are going to deliver on this promise, and make real improvements to livelihoods then they need to be complimented by information that is relevant to the lives and economic situations of people in developing countries, and give them space in which to communicate and develop their own ideas. While the importance of 'local content' has often been raised in international meetings, concrete initiatives and expertise on this topic are scarce. In the course of this study, contacts were established with people working in most development sectors and representing public, private and not for profit groups. The underlying issues and challenges are a core interest of people in many disciplines and sectors. It is crucial to differentiate between 'local content' and local 'eContent'. Just because little eContent from developing countries is found on the Internet, it is wrong to conclude that there is a 'local content' problem. Most local content is invisible to international audiences that are not connected to local 'offline' content channels. While the ICTs and other media are converging and provide many opportunities to strengthen local content creation and exchange, different 'pools' of local content need to be treated very differently. The 'drivers' and motivations in health are not the same as those in agriculture, community development, or community radio. A good understanding of these is necessary before any interventions are formulated. While everyone is impressed by the potentials the new ICTs offer to share and exchange local content, in many cases the 'new' technologies are tape recorders, radio, television, newspapers, or telephones. ICTs and the Internet are currently rather small parts of the 'toolkit' used to create and communicate local content. Most content initiatives using ICTs tend to 'push' external content towards local people. In other words, they mainly provide 'access' to other people's knowledge. With a few exceptions, new technologies are not used to strengthen the 'push' of local content from local people. Generally, the balance between 'push' and 'pull'  or supply and demand  is heavily weighted towards non-local rather than local content. First, and perhaps most challenging, invest resources in a wide spectrum of local initiatives that create or communicate genuine local content. Work with existing eContent, networking producers and intermediaries to exchange and deliver development-oriented content. Examine ways to provide incentive financing for local content.